Broward Criminal Defense Attorney Phillip Menditto immediately begins your best defense! Phillip Menditto is a Fort Lauderdale dui attorney, Broward County criminal defense lawyer, traffic violations lawyer, petit theft, juvenile crimes, drug crimes defense lawyer, more... Florida State and Federal crimes trial lawyer, criminal defense attorney in Fort Lauderdale. 24 Hours / 7 days a week. Call now for a FREE CONSULTATION! Broward dui lawyer in Fort Lauderdale, Florida. Broward County criminal defense lawyer for misdemeanors, felony, state and federal crimes. Shoplifting attorney, drug crimes, white collar crimes, dui manslaughter, Fort Lauderdale domestic violence lawyer, theft, disorderly conduct, record sealing and expungement attorney, probation violations attorney, appeals. If you're arrested and accused of a crime, it is imperative to get a criminal lawyer right away and begin your best defense. Call and hire Fort Lauderdale criminal attorney Phillip Menditto immediately upon your arrest! Your best chance... to get arrest CHARGES REDUCED or possibly DISMISSED is BEFORE ... the court date is set! Hire Broward defense lawyer Phillip Menditto asap! Immediately, Mr. Menditto begins working for you. He will meet with the state prosecutor BEFORE charges are officially filed against you, and do EVERYTHING possible to get your charges reduced or dismissed. He will examine all evidence, stay in contact with you, and advise you of the best defense options. Doing this BEFORE charges are filed gives you a much better chance for a successful defense! If you wait for a "public defender" it may be too late for a better outcome. The first time you meet your public defender is the moment you go to court and charges have already been filed against you. Public defenders are chronically overloaded with case work, they can't give the attention to defending you the way a successful, experienced criminal attorney will. They won't meet with the prosecutor right after your arrest and begin defending you like attorney Menditto will. 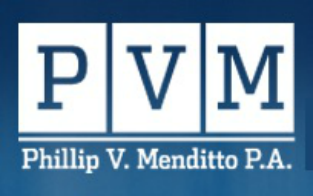 Attorney Phillip Menditto is very highly rated and has a long list of VERY HAPPY clients! 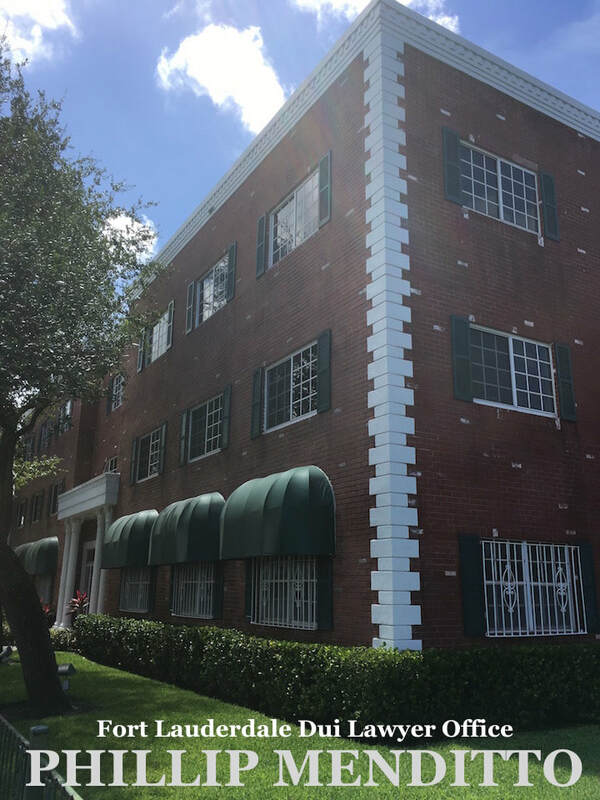 As a defense lawyer who formerly worked on the prosecution side, Broward County defense attorney Phillip Menditto utilizes his experiences and legal expertise to gain every possible advantage for his clients. The best Fort Lauderdale criminal lawyers always begin your defense immediately. Remain silent, ask for your attorney and call now! Do not give the prosecution evidence to use against you in court. See Fort Lauderdale criminal lawyers video tips. Broward County defense lawyer for drug crimes, Dui arrests, firearms possession, theft, money laundering, more. You may be able to avoid going to trial! Once you are arrested, the police usually take 2- 4 weeks collecting and preparing evidence to send to the State of Florida. This pertains to State cases only, not Federal Investigations and arrests. Upon receiving the evidence, the Florida State Attorney can either drop your charges, raise your charges, or simply keep the charges the same. Criminal defense attorney Phillip Menditto begins working immediately on your behalf in that short window of time before charges are "filed", before a court date is set and you are heading to trial. You might avoid going trial because he will meet with the state prosecutor before the court date is set, and do everything possible to get your charges reduced or dismissed! He will answer questions and keep you informed every step of the way! Start your defense right away! DO NOT wait for a public defender who you will meet in court. In south Florida, the best criminal defense attorneys begin your defense strategy immediately, and give your case the attention it needs. Have direct contact with your attorney right away and start your defense! Please see our testimonials and videos. With 5 star best rated reviews and extensive trial experience, call now, because Phillip Menditto is a Broward county defense lawyer you can trust. if you are facing criminal charges. In Broward County criminal defense attorney Phillip Menditto handles Florida state and federal crimes defense cases. He possesses a thorough understanding from both sides of the law having formerly worked on the prosecution side. ​Using his extensive years of successful criminal court cases, trial experience and broad knowledge of Federal and state criminal laws, he fights tenaciously for his client's rights and defends their freedoms. Attorney Menditto handles a variety of criminal arrest charges in south Florida, and he specializes in DUI arrests. Map to his office: dui lawyer Fort Lauderdale. Broward County Dui Defense Attorney Phillip Menditto is available 24 hours a day. There are extensive ways Mr. Menditto will defend your rights. He will contact the state prosecutor as your legal representation and meet with the state attorney before charges are filed. He will review all evidence, looking for every defense option available and begin your defense immediately! For instance, if the police made any mistakes, if any of your constitutional rights have been violated, maybe you never should have been arrested in the first place, perhaps the victim does not want to press charges, etc. In the south Florida and Broward county court systems, get the best defense! Fort Lauderdale criminal defense attorney Menditto can often get your charges reduced or possibly even dismissed! Fort Lauderdale dui lawyer Phillip Menditto advises to remain silent and ask for your attorney. Phillip Menditto es abogado de defensa criminal en Fort Lauderdale y trabaja diligentemente duro para defender a sus clientes! No importa cuáles sean los cargos, se necesita un buen abogado de defensa en el condado de Broward. Su secretaria, Yesenia, habla español y le ayudará en cualquier pregunta o preocupación que usted tenga sobre su caso. Llame ahora y hable con el abogado Phillip Menditto o su secretaria inmediatamente. Esperamos poder ayudarle en su asunto legal. (Translation: His secretary, Yesenia, speaks Spanish and will help you with any questions or concerns you may have in regards to your case. Call now and speak to attorney Phillip Menditto or his secretary immediately. We look forward to assisting you in your legal matter). Fort Lauderdale Dui Attorney Phillip Menditto. Broward Dui Lawyer, Broward county defense lawyer for drug crimes, defense lawyer for marijuana charges, drug possession and firearms. Criminal defense lawyer for white collar crimes and Grand Theft Auto. Mr. Menditto is a Miami Dade Defense Lawyer, Palm Beach Criminal Attorney, serving south Florida State and Federal crimes defense lawyer for Rico racketeering charges, battery, assault, violations of probation, more. Ft Lauderdale defense attorney Menditto handles juvenile crime cases, appeals, and expungement of criminal records. Fighting for your rights, Broward criminal attorney, Fort Lauderdale Dui lawyer Phillip Menditto will work hard to defend your criminal arrest charges. Free initial consultation.